D.J. MacHale is an incredible author. I know this by reading his Morpheus Road series. But, Morpheus Road being his later series, I was curious to see if his first series was near as good. To be honest, after reading the first book of the Pendragon series, I can't decide which I enjoy reading more. Pendragon is absolutely incredible. This is definitely the teenage dude's book. Romance? 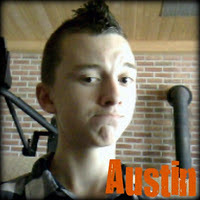 I don't like it Twilight-style. Mushy, dramatic, girly. Not for me. But Pendragon puts it in a total guy's perspective. This, I can read. And it isn't only the romance that is dudeish. Bobby Pendragon is your average teenage guy. So all of these whacky things that he's going through is put into a perspective that I can really relate to. This is definitely a must-read for pretty much any teen boy. I'm continuing the series, and it's definitely going in the right direction to become one of my favorite series of all time. These books amaze me from their greatness. Great review! I'm always looking for books for my almost-teen son. He also can't stand mushy, gushy, romance. This is definitely a book I'll be looking for for him! Haven't read anything by D.J. 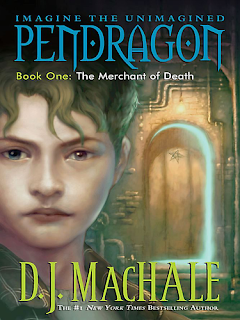 MacHale before, but anything with the word Pendragon on it immediately catches my interest. I'm curious if there is a tie to King Arthur or just a parallel of plot, but either way, this sounds like a good read. Thanks for the rec! I've been meaning to read this series for a bit now... thanks for the reminder and the review!